Put Your Job Search on Autopilot and Have The BEST Tech Companies Contacting YOU With An Endless Flood of Interview Requests and Lucrative Job Offers So You Can Land The High Paying Job You Always Dreamed Of! Would you like to have a steady flow of high paying employers and top notch recruiters contacting you and convincing you to accept lucrative job offers you can’t refuse? It’s like a hamster running on a hamster wheel. 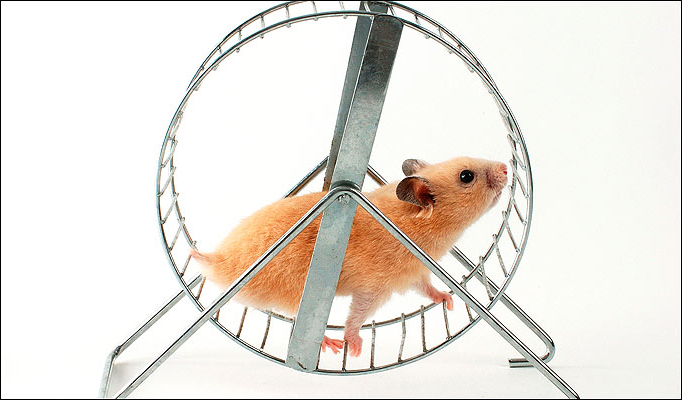 You keep spinning your wheels but you are getting nowhere. The cold hard truth is NOT being contacted for an interview has nothing to do with your skill level or your resume. The reality is, organizations receive hundreds, if not thousands of resumes for one single position. The hiring manager will typically look through 10 resumes for a few seconds, unless something catches his attention and stands outs. This becomes a tedious process and most of the remaining resumes are untouched, including yours! It’s not a win/win situation for you or the hiring companies. 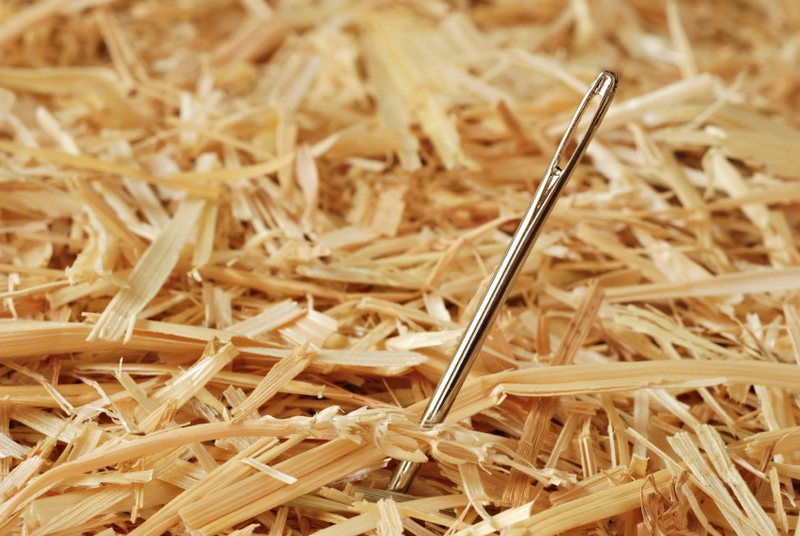 For the hiring manager, finding a GREAT candidate is like finding a needle in a haystack. 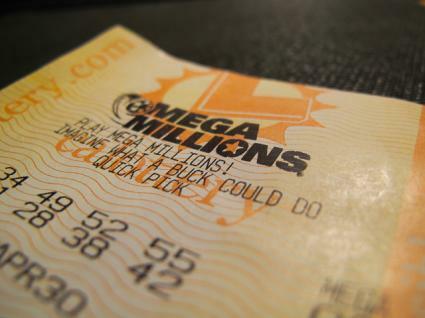 And for you, it’s like hoping that you will have the winning numbers in the lottery! This is why the job market dynamic has changed. Now, creative, innovative and smart professionals along with hiring managers are doing things differently. They are utilizing the power of LinkedIn to find the right fit for their career and employment needs. LinkedIn is a game changer and it provides an easy and effective way for employers to find the BEST candidate for their organization. Did you know? Recruiters and hiring managers will be CHASING YOU instead of the other way around. Have more time to focus on enhancing your skill and do other things you enjoy instead of tirelessly searching for jobs. Simply put, those who adapt to the reality of searching for jobs using LinkedIn will clearly become winners in the career stage. That’s why I created a unique formula to help you utilize LinkedIn so you can get your dream job in less time than you think! In fact, I personally use the formula all the time and have landed numerous high paying contracts. I also connected by using my LinkedIn formula with the well-respected Robert B. Cialdini, the famous author of The Psychology of Persuasion. I now count on him as one of my coveted LinkedIn contacts. And I’ll show you how you can connect with celebrities too! With the LinkedIn formula, you can easily apply these simple and effective strategies to reap the rewards. It will teach you how to market yourself and let top employers know you are the BEST candidate for the job. The level of success with this Linkedin Formula is proportional to the mastery of your craft. If you are a tech pro, you will get the outstanding results you deserve by implementing just a few of the tips in this formula. Even if you need to enhance your skills, this formula will be beneficial to helping you improve your marketing skills and help you master your craft! I bet you are probably wondering what is this LinkedIn Formula all about. But, more importantly, who am I? And why should you believe anything I tell you? Trust me, I understand your skepticism. At this point, you have been endlessly searching for your dream job with virtually no results. So, someone telling you to go on LinkedIn and telling you that you can get a high paying job within a few short weeks seems ludicrous. I get it. However, I am a regular guy just like you. That’s why it’s important to tell you a little about me and my own success with LinkedIn. If I can get job offers, interview requests, and actual high paying contracts- so can you!! 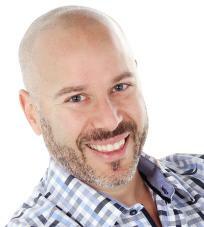 Hi, my name is Olivier Langlois, a full-time Online Entrepreneur with 15 years of software development under my belt. Before I became an independent consultant and career coach for software developers and IT pros wanting more success, I worked for renowned employers like CAE, Adacel, Quazal, Triton Digital, Morgan Stanley, Alstom and Ericsson. Today, I coach tech pros on how to get noticed, get hired and get ahead using the special formula for LinkedIn. With You Landing Your Dream Job? It all started in 2005. During that time, I was working at a job that had bad working conditions and I hated it. However, I remained unhappy and unsatisfied because I didn’t know any other way. My perception of looking for a new job was pessimistic. I believed that jobs in my field were difficult to obtain. You either had to know someone or graduate from a prestigious school. Well, that’s what I thought. One morning, the turmoil of the job was too unbearable, and I decided to jump in with two feet and quit. Go figure, I already had a bad view of the job market. And, there I was jobless and confirming all of my worst fears. After sending countless resumes, and going on unproductive interviews, I finally was able to snag another job, however. The conditions were not any better than my previous job. I knew something was not right. Suddenly, something clicked when I realized that I was at least 2x more productive than the 2 monkeys beside me but I was remunerated the same way or even less than them. I knew there had to be a better way to get the job I really wanted, command a high paying salary, and work at a job I loved. I knew my skills were not the issue; marketing them was. I quickly discovered that I had the same problem as most tech pros: inability to market myself effectively. Then it was like an Angel was looking over me, and I got my first invitation to join LinkedIn. At the time, I was not too fond of joining any social network. Like most of us, I wanted to protect my privacy. I ultimately convinced myself that LinkedIn was a professional network where I can build strong professional relationships overtime. I connected the dots between the realization I had and the 2 monkeys. 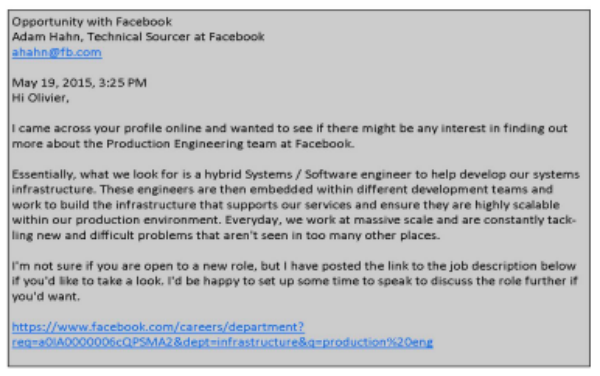 This is when I saw LinkedIn not as a social network, but a simple solution to help tech pros eliminate their most pressing problem: Marketing their skills effectively to land their dream job. 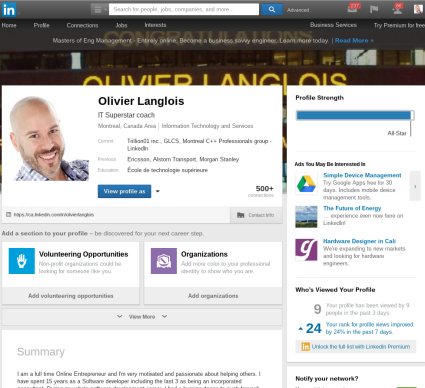 I quickly discovered that a LinkedIn profile is so much more than a resume online. It’s a way for top employers to connect, contact and hire the right candidate for the high paying jobs they need to fill. And it’s an easy way for tech pros to get noticed without submitting their resumes to hundreds of recruiters, hiring managers, and employers. As you’ve probably noticed in your own career, being a good developer by itself isn’t enough to advance your career, boost your salary or convince employers like Google and Morgan Stanley to interview you. Imagine how you would feel if you were receiving several offers... every week! Do you think you would say no thank you with a smirk to your current job that you hat or the offers that do not meet your expectations? I thought so and of course, I think that you are entirely justified for thinking so! This is exactly the goal I had in mind when I developed the LinkedIn formula. Now I coach ambitious developers just like you on the step by step formula you can use to launch your profile to the forefront of credible companies willing to pay top dollar for you to join their team or work remotely for more money than you are making now! job at a great company you’ll love! With a lot of trial and error, I experimented different ways to get noticed on LinkedIn that worked. My real-world, proven and tested strategies are at your disposal—ready for you to use. This way you can get the job you really want, command the salary you deserve, and get the recognition and respect you deserve from top employers and your peers. With this simple step by step guide, you never have to worry about sending your resume out to hundreds of employers and hoping to get a response. You will have complete CONTROL and employers will be seeking you out offering you your dream job and high paying contracts. In these 5 easy to follow training modules, you will discover how to use the power of LinkedIn to get noticed and land your dream job in a relatively short period of time. I will reveal the 30 simple and effective methods I personally used for myself and my clients to crush it on LinkedIn. I will tell you more about the LinkedIn formula in a moment, before I do I want to tell you how much you can gain just by having access to my proven formula. Learn the same EXACT strategy I used to get one of the most popular tech companies contact me and hire me for a high paying contract. In this easy to execute formula, you’ll get everything you need to start receiving more inquiries than you ever dreamed possible. These 5 training modules will take you by the hand and show you the very same 30 specific ways I use to crush it on LinkedIn. These are the exact strategies I use to get all the quality, high-paying jobs I want and it has worked for everyone I've coached too. fast and make all the money you want! The formula is more than a social media course. If you are a tech pro looking for how to build yourself, this guide is designed to take you to the next level and make you solid. Best of all, you can execute the entire plan without paying for a premium LinkedIn account. get the recognition you deserve? In fact, my strategies are so effective I was named the top recruiter at Morgan Stanley. You see my name on the giant ticker board above? I can proudly say that was not luck. That was a result of my proven LinkedIn formula that I use for myself and all of my clients. The bottom line is I know EXACTLY how it feels to be in a recruiter’s shoes. As a recruiter who scans LinkedIn profiles and resumes on a consistent basis, I know what recruiters are looking for when they scan resumes and search profiles on LinkedIn. And I reveal them in the Dominate LinkedIn Formula. 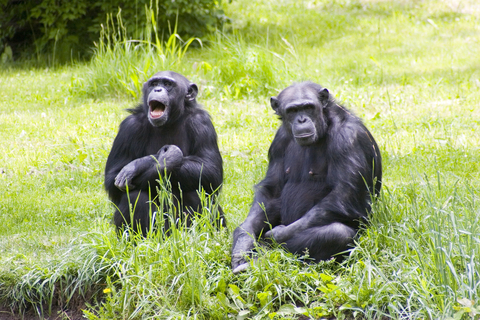 Learn how to effectively communicate and ask the right questions in group discussions. This technique alone will allow you to connect with the right people. What type of photos to use on your profile. The answer may surprise you! faster and easier than you've ever dreamed! ...from the best of the best places to work, willing to pay top-dollar for a tech pro just like you! And they will when I show you how to get found and interviewed! These secret strategies have rocketed my income higher than its ever been before! So what is it worth to you to get access to a simple formula that can help you land your dream job and change your life? I recently shared these hacks at a one day event for $500 per person. A few guys told me these were the most mindblowing strategies they ever implemented! And more importantly; they got the desired results they were looking for by implementing a few simple hacks using my formula! You already know the stellar results you can get from using a FREE LinkedIn profile. You already seen my success and you heard the testimonials of my client’s success. You know these strategies work once you apply them. So, what is your investment in this proven formula to help you maximize your LinkedIn profile to get more interviews, job offers and land your dream job? My private clients pay upwards of $500 to $1,000 to work with me. I personally take their hand and help them every step of the way. With this formula, you have all my knowledge at your fingertips, any time you need it. Whether it’s 2am on a Sunday or a 11 am on a Friday, you will have instant access to everything you need to know to land your dream job in a matter of a few short weeks. $5,000, $10,000 or more? Think about it! How would your life be different if you landed your dream job, got the recognition you deserved, and made enough money to enjoy your life to the fullest. What is that really worth? Your ticket to freedom is right in this Dominate LinkedIn Formula and you won’t pay $10,000 or $5,000. You won’t even pay $1,000 or $500 to get access to this life- changing guide. With all the mind-blowing strategies, techniques and proven methods to land your dream job, I can easily charge $297 for this formula and get it. However, I wanted to be fair because I was just like you a few short years ago. I understand your struggle, frustration and disappointment, and I don’t want money to stand in your way of getting the job you really want. This is why your investment will only be a mere $27. 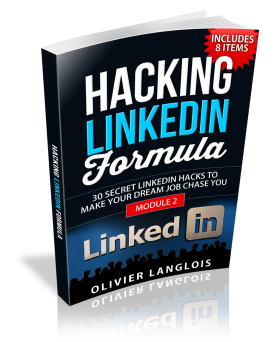 instant access to the Dominate LinkedIn Formula! Over 1,000 tech pros reported specific increases in their incomes last year as a result of my LinkedIn formula. Many reported a salary increase of $10,000 to $25,000! Once it's been repeated 1,000 times, it's no accident; it's a proven system that you can use, too. Its cost is only $27, so even a $1,000 salary increase represents 2,700 percent return on your investment! 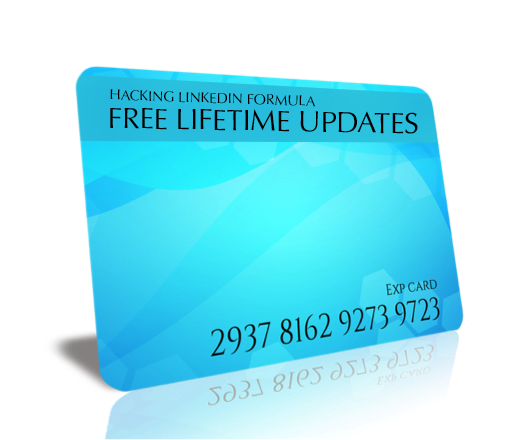 Why Not Take The Dominate LinkedIn Formula For A Test-Spin Now And Use It For A FULL 60 Days Risk-Free! you'll get a 100%, no-questions asked refund! 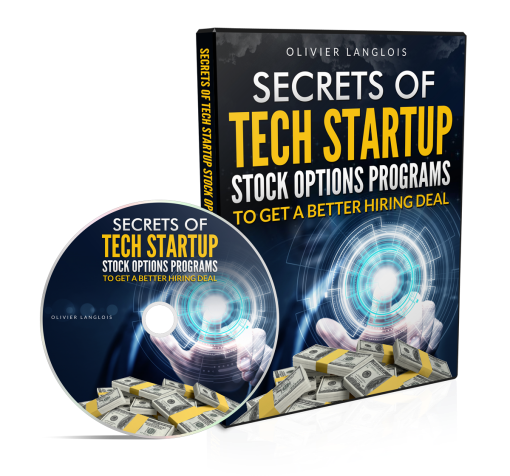 If the $27 price tag wasn’t enough to make you jump for joy, I am throwing in my 5-part video course Secrets of Tech Start-Up Stock Options Program at no extra cost to you! You won’t find this anywhere else. It’s valued at $197 but you will pay absolutely nothing when you invest in the Dominate LinkedIn Formula. The 2 critical pieces of information that you MUST know about a stock option program. Without this information, you will cause yourself unwanted stress and frustration. The world of social media is constantly changing. Not only that, but there will always be new and effective ways to use LinkedIn to land your dream job. The Dominate LinkedIn Formula keeps improving. This is why we offer FREE lifetime updates to make life a little easier for you. Click the 'download now' link and for only $27, jump right into the real-world strategies, upgrade your profile, launch the networking techniques, and keep up with it for a full 60 days. If your LinkedIn activity isn’t bringing you more opportunities than you’ve ever experienced before, I’ll give you a no questions asked refund. You have nothing to lose by getting the Dominate LinkedIn Formula now. I've perfected these techniques over a number of years and getting the Dominate LinkedIn Formula will be the best career move you've ever made. And I'm willing to let you use it ALL, with zero risk to you! If it doesn't boost your LinkedIn activity to higher than you've ever experienced before, you will get all of your money back. In fact, you can even keep the bonuses! If you don't get more page views, recommendations, connections, and interviews than you ever have before, you'll get a 100%, no-questions-asked refund and still keep the bonuses with my compliments! That's how absolutely certain I am that you will find tremendous value in the Dominate LinkedIn Formula. 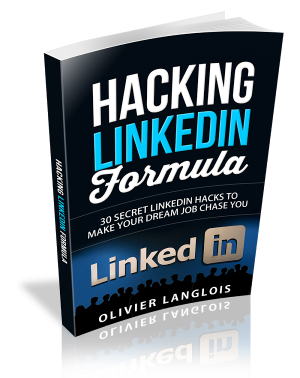 If you want the fastest, simplest way to take your tech skills to the bank, then download the Dominate LinkedIn Formula now! With Less Talent Get All The Good Jobs? Being good at what you do is only part of what you need to get ahead. You need to trumpet your achievements and skills so employers tune in to your high notes and respond with a flood of offers. If you keep doing what you are doing, you’ll likely see your peers moving forward while you wait and wonder when your big break will come. Or since you can try the Dominate LinkedIn Formula at absolutely no risk to you. You are guaranteed to get more views, connections, recommendations and interviews within 60 days or your money back. You can choose to jump on this offer now and skyrocket your career from now on! P.S. - As a tech pro trying to get noticed by the employers who are looking for you, but can't reach your buried profile, you simply must have a leg up on everyone else competing for well paying jobs or continue to endure a stagnant income while others leap ahead. YES! I want to immediately and permanently boost my LinkedIn profile and grab my dream job starting today! I pay only $27 for instant download - including all the tips, techniques and strategies I'll use to put my career into overdrive. I understand I can use Dominate LinkedIn Formula for a full 60 days and if I'm not happy for any reason, I can get a prompt, no-questions asked refund. Option 1: You can continue to send out resumes and get frustrated when there is no response. Option 2: You can get the support and guidance of someone who knows EXACTLY what it takes to land your dream job. All the answers you seek are in the Dominate LinkedIn Formula. I understand you may have some valid concerns and you probably don’t believe investing in a simple formula can help you land the job of your dreams. I am living proof that it can! That’s why I wanted to address some of the frequently asked questions I receive from tech pros just like you. This way you can see how easy it is to use the power of LinkedIn to get the dream job you really want! Is it dangerous to share personal info on LinkedIn? Absolutely not! In fact, you will not be sharing all your personal information like the other social networks are designed to do. LinkedIn is not used to share special moments of your life; it’s used for professional use only. In a nutshell, is like an online resume except that is even better than an actual paper resume. The reason being is because people in your network can contribute to your profile and make it even more interesting for employers! What about my professional information I need to protect? If you are still concerned about potential security risk, know that LinkedIn offer the option to only show your profile content to only members of your network this is giving you complete control over who has access to your data. I am not looking for a job right now. Do I still need LinkedIn? It would be a big mistake to not start now because it takes time to build a big high-quality network. Former colleagues or persons of great value may unsuccessfully try to reach you out on LinkedIn and never retry. You will never know about it and maybe the opportunity to connect with them will be lost forever. After the initial burst of new connections that happens when someone has just created a profile on LinkedIn, new connections will be added at a much lower pace. So, it is never too late to start building your professional network but the sooner the better because when you are going to need it, you will be glad to have a strong professional network already available to you. What if I am too busy to implement all your strategies? Busy doing what? Sending out your resume to tons and tons of employers with no response? As I mentioned earlier, the job market dynamic has changed. Recruiters and hiring managers are no longer sifting through piles of unimpressive resumes. They are now on LinkedIn looking for talented people just like you. If you are not utilizing the power of LinkedIn, you are missing out on lucrative opportunities. If employers won’t look at my resume, why would they bother to look at my LinkedIn profile? That’s a good question. Truth is, most employers and hiring managers may never glance at your resume. However, when you position yourself as an expert in your field and place the right words in your profile, employers will be seeking you out and asking you to come work for them. Why do I need to invest in a formula, can’t I just figure this out on my own? Well, sure you can figure it out on your own. But it will probably take you months to figure out what works and what doesn’t work on your profile. Sure, you can go look at other people’s profile, but do you know what is making them stand out? Do you even know if they are getting solid job offers? If you try to figure it out on your own, that will be the same as submitting you resume to hundreds of companies with no response. It’s best if you learn from someone who has actual RESULTS. That’s why I highly recommend you invest in the Dominate LinkedIn Formula today. Why can’t you give your formula away for free? That is a great idea. I wish I could give away a free copy to everyone. However, you and I both know people don’t value what they get for free. I want to make sure you are serious as I am about your career. I know you have the skills and talent to land your dream job. You just need to become a little more marketable. And my LinkedIn Formula helps you do exactly that. At a mere $27, you will make your money back with your first high paying contract. Are you kidding me? There is no way I can get a 6 figure salary in 2 weeks using LinkedIn?! I don’t know you personally, nor your work ethic. However, if you apply my strategies you will attract more of your ideal employers to your profile. I can speak for myself and my clients – we both landed high paying jobs in the six figure range from our LinkedIn strategies. You can go back to the old and tedious way of looking for a job. Or you can join us and look for your dream career in a fun, and easy way. Great question. If you follow methods, techniques, and strategies, there is no doubt in my mind that you will get the results you are looking for. I know you may be discouraged by submitting you resume, or even trying other social networks with no luck. However, if you are totally committed and do EXACTLY as I say and do, you will have your dream job and a salary you can be proud of in less time than you think! Of course. I know you are skeptical, and perhaps you purchased similar products in the past that just didn’t own up to the hype. I can’t speak for other product creators or recruiters; I can only speak for myself. 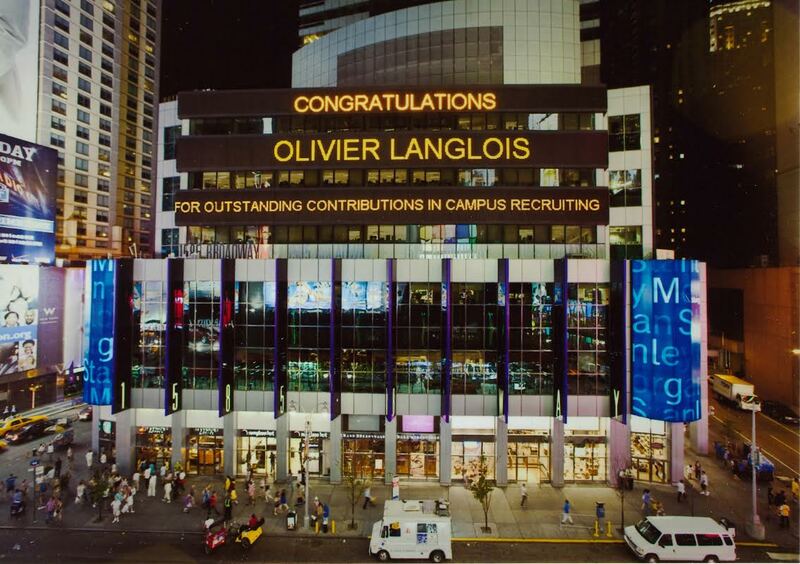 I have been named the top recruiter by Morgan Stanley and I have acquired jobs in some of the best companies in the world. Not only for myself, but also my clients. To be honest, $27 will not put a dent in my pocket. That’s why I am offering you an unheard of guarantee. Simply, invest in the formula, and if you don’t receive any value, any connections, or at least one job offer or interview request, simply shoot me an email telling me what happened. I will gladly refund your investment with no questions ask and we can part as friends! I am new and have little experience – how can this work? While skill set is important, you need more than just skills to land you a job. It’s all about the way you position and market yourself. The Dominate LinkedIn Formula will show you ways to stand out from your peers even if you are less qualified for the job. If you have been submitting your resume with no luck, isn’t it time to try something different? What if your Dominate LinkedIn Formula doesn’t work for me? I understand that you may be a little skeptical. The only way it won’t work is if you don’t apply the techniques and strategies revealed in my proven formula. If you feel like you have not received any valued, you can take advantage of my iron-clad money back guarantee- with no questions asked! This seems like a lot of value- why offer for only $27? The truth is this formula is valued at $97 and it is worth so much more. The strategies in this book will potentially land you high paying contracts in the six-figure range. However, I know that you are frustrated and disappointed with the job search. So, I wanted to make it a no-brainer for you to say yes! This is why I priced the formula at a mere $27. I cannot guarantee it will stay that price for long. But, right now I want to help you succeed. What if I have a question about a strategy or technique. How can I reach you? The formula is pretty straightforward. However, I understand that you may need additional help. That’s why I offer email support and a personal forum to help you get the answers you need when you need them the most. If you need further support, I offer coaching and training to help you enhance your skills and market yourself for a high paying job. How long do I have to wait to get the Dominate LinkedIn Formula? That’s the beauty of the Internet. I created a digital version of my formula. Therefore, as soon as you hit the “buy now” button, you will get instant access to the Dominate LinkedIn Formula no matter what time of day you decide to invest in the formula. You will be able to access it from your Kindle, IPhone, Android, Laptop, or any other compatible mobile device you have. This way you will have the Dominate LinkedIn Formula with you wherever you go! P.P.S. - I want to be clear about something. Because I've written and edited the Dominate LinkedIn Formula so tightly, what you won't find is one wasted word. Remember, I didn't write this for you, initially wrote it for myself. I want the crux of each method, each principle to reverbate through your mind. I wanted to make them easy to commit to memory. 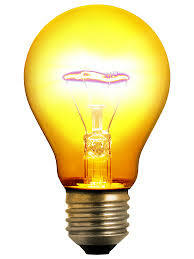 Remember also, all you need is just one grear idea, one hack to change your life. I've given you 30. You can't lose! If after downloading the ebook, you're unsatisfied for any reason, hit me up for a refund. Simple as that. You have 60 days, that's two full months, to decide. Go ahead and apply these tips to your own profile. 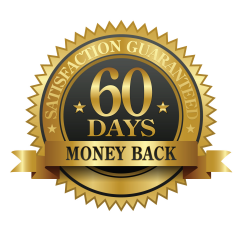 I'll bet in 60 days you have AT LEAST 10 INTERVIEWS FOR GREAT COMPANIES OR ATTRACTIVE JOB OFFERS in your pocket directly because of the formula. If you don't, just hit me up for a refund, ok? I promise, we'll still be friends. How would it feel to be able to get interviews for great companies at will, when you only paid a measly 27 bucks? You tell me. You'd be one smart person, wouldn't you? Of course you would. Because YOU ARE. You're reading this right now, you've the desire to advance your career and your next move is to stomp on the buy button yelling "Give me that damn book!!!". ANY PRODUCT, WEBSITE, AND COMPANY NAMES MENTIONED IN THIS REPORT ARE THE TRADEMARKS OR COPYRIGHT PROPERTY OF THEIR RESPECTIVE OWNERS. THE AUTHOR/PUBLISHER/RESELLER OF THIS WEBSITE IS NOT ASSOCIATED OR AFFILIATED WITH THEM IN ANY WAY. NOR DOES THE REFERRED PRODUCT, WEBSITE AND COMPANY NAMES SPONSOR, ENDORSE OR APPROVE THIS PRODUCT. This site and the products and services offered on this site are not associated, affiliated, endorsed, or sponsored by LinkedIn, Google, Morgan Stanley, Facebook nor have they been reviewed tested or certified by LinkedIn, Google, Morgan Stanley, Facebook.